Semesa Rokoduguni Man of the Match on Full Bath Debutfrom the referee. There is a tiny, little part of me deep down that wants Semesa to get carried away with it all. Two matches for Bath United and then two tries in his first team debut Not to mention the man of the match award and glowing comments from Bath’s coach Brad Davies to add to the previous praise form DoR gary Gold. Perhaps by the time the annual Army Navy match comes around he will have become a little blasé. Alas, no chance. I do not know whether it is the grounding he received through being part of the Army Sports Team of the Year, aka the Army Seven’s, and their leadership group of Alfred and JV. Or perhaps elsewhere within the ARU or his unit. But Roko remains well and truly grounded in terms of his fly away success. When interviewed immediately after the Newport match his first thoughts were for his Scots Dragoon Guards colleagues on exercise in Canada and then before the interviewer could draw breath he was also thinking aloud about colleagues in Afghanistan. When pressed for comment about himself his answer was simple “I’m speechless”. Earlier his rugby talent had provided amble imagery to paint more than the thousand words. With Davies noting his versatility and ability to hold depth, Newport noted his power, his pace and his ability to step. One try from the wing and one from the centre position. The only good news for Navy Rugby is that the Team Manager at Bath, Dave Guyan, is a Navy Rugby stalwart and former U23 Head Coach. Hopefully he will be in regular contact with Andy and his coaching team. Bath Rugby’s match report can be found here. 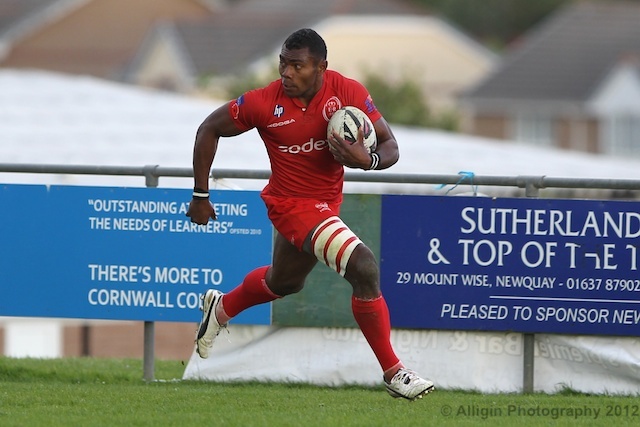 To see Roko when he is in the Army’s colours the ARU fixture list can be found by clicking here. To see Roko at the annual Army Navy match at Twickenham 28th April then tickets are now on sale. HMS Sultan will hope to go one better in 2012 than last season. HMS Sultan won the bragging rights on the West side of Portsmouth Harbour with a well deserved victory over neighbours HMS Colingwood 27 – 15. The victory, last week, sees Sultan progress to the Semi Final of Navy Rugby’s knockout cup. Last year Sultan lost in the final to Seahawk but otherwise had a very successful season including victory in the Area Cup and winning a training session with London Irish through the QBE scheme; rewarding rugby in the community. The Royal Navy Rugby Union Cup Final is due to be played on Wednesday 12th December 2012. It has been well documented that this season’s Combined Service’s team faced a number of last minute disruptions. As a consequence of this and through a desire to look forward rather than back, an unusual reunion took place on the replacements bench. Kye Beasley and Matt Bowman were last season’s Navy and Army captains in the U23 Inter Service championship with Matt having the honour of lifting the trophy. Both have won senior honours and both are now Combined Service players having been late call ups for the clash with Crawshay’s. Matt will once more be captaining the Army side when they seek to defend the championship. 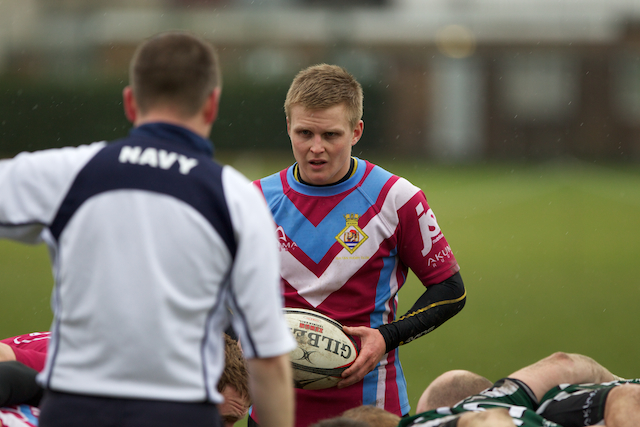 They sit out the first match when the Navy host the RAF U23s at Burnaby Road on Friday 16th November, KO19:00. However I am sure they will be looking to come out of the blocks quickly when they enter the competition with a home game against the Navy at Aldershot on Friday 23 November at Aldershot. Having served a long and beneficial apprenticeship under the Army’s most respected flanker, Mark Lee, do not bet against Matt also being in their Senior side come April.